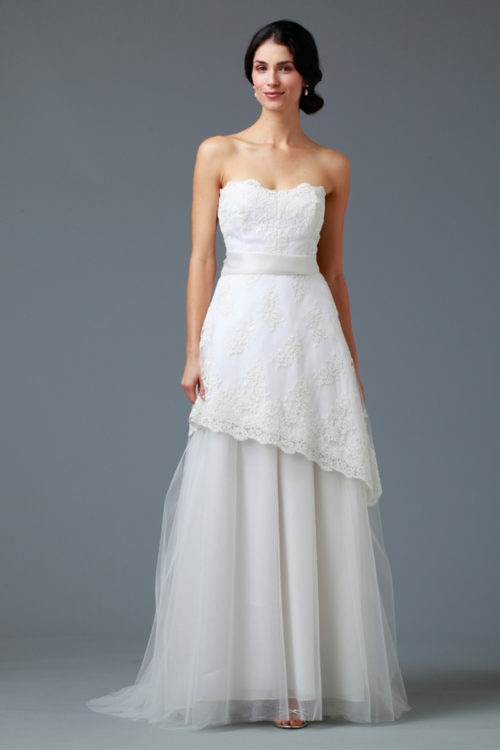 Want a sassy, understated gown? 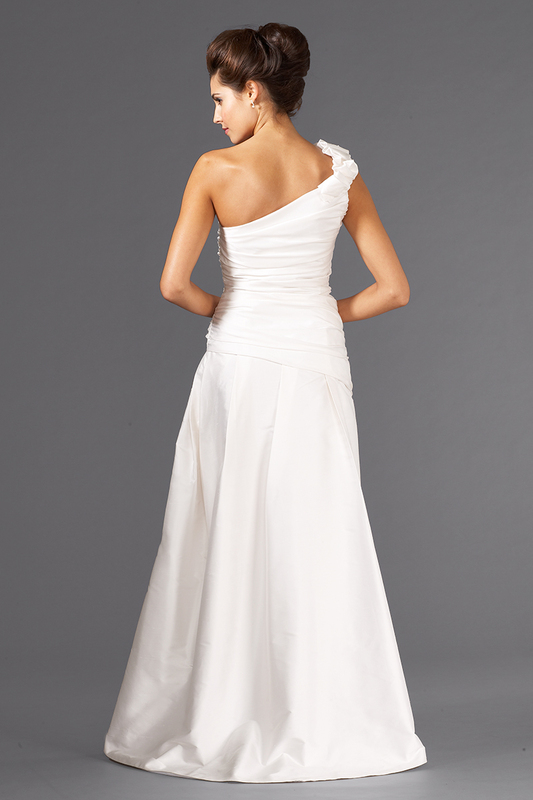 The Rio Bridal gown is extra special with its ruffled one shoulder, ruched bodice, and A-line skirt. Made is light and comfortable silk shantung, this gown is perfect for beach side weddings.